Sometimes pairing side dishes with entrees can be a daunting task. If you aren’t quite sure what to serve with a main course, consider rice. Rice is incredibly versatile! Just toss in a couple of ingredients that complement the flavors of your main dish and you’ve got it made! I actually made this rice dish the other night to pair with macadamia nut crusted halibut. I love fish with some fresh lemon! This had just the right amount of zest to it so it wasn’t an overpowering flavor. 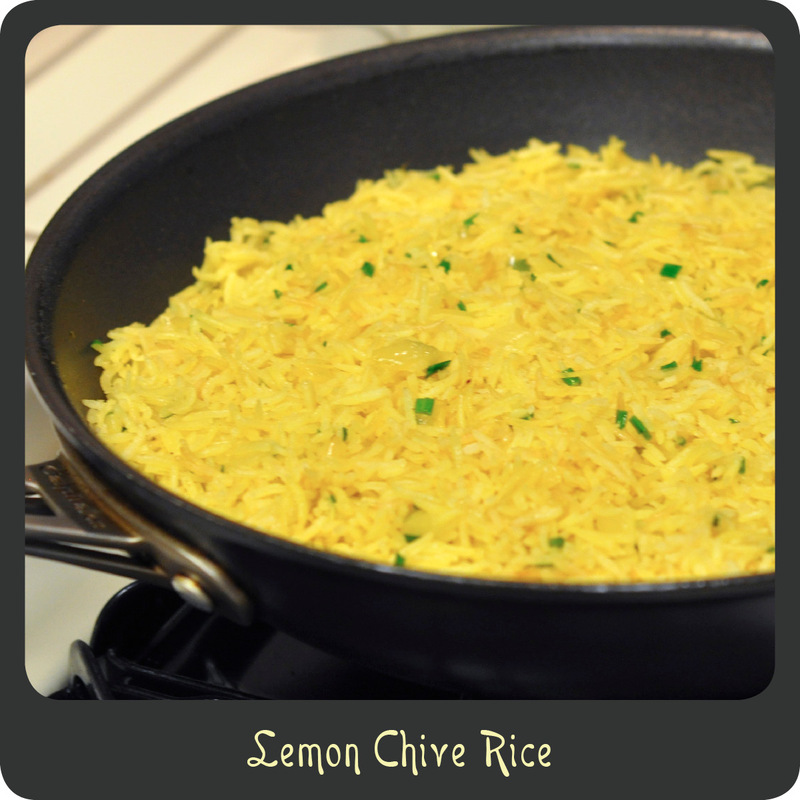 This rice would also go great with some baked or grilled chicken. I find myself cooking with lots of citrus throughout the warmer months of the year. There is just something so refreshing about fresh citrus of any kind. This is definitely a side dish that the whole family will enjoy. Add the rice and the turmeric and stir until all the grains of rice are coated. Stir in half of the lemon peel and all of the chicken broth. Bring to a full boil over medium-high heat. Remove from heat and let rice sit covered for 8–10 minutes. Stir in remaining lemon peel, chives, salt, and pepper. This is a fantastic idea. I’d sub vegetable broth of course (I’m vegetarian), but otherwise perfect for me. Love the chives in there!